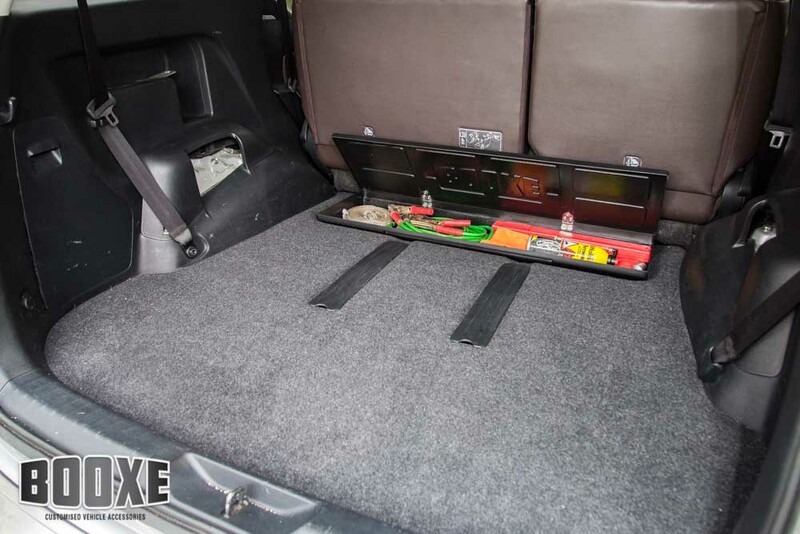 BOOXE ORIGINAL BOOT BOX – tailor-made to fit in TOYOTA FORTUNER boots. 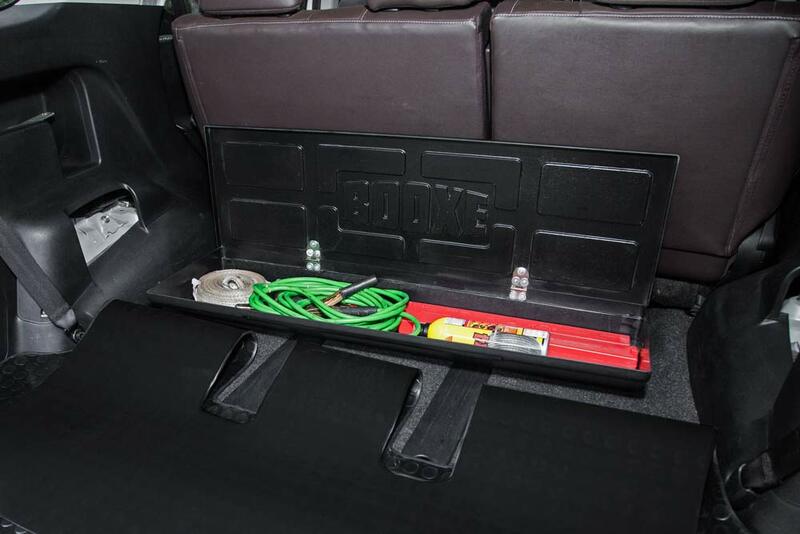 Our top selling Original Boot Box is a storage box designed exclusively to tidy up your Toyota Fortuner boot space. 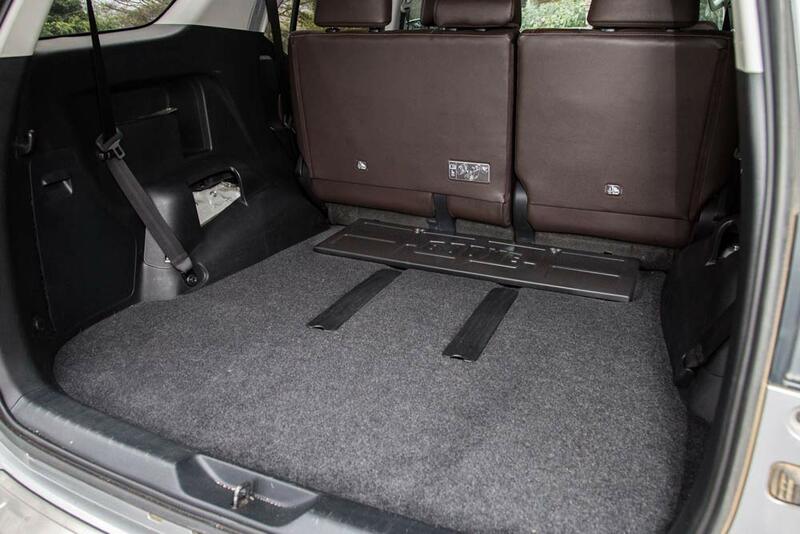 As a customised facility it utilises the rear boot recess behind the second row of seats in the TOYOTA FORTUNER. 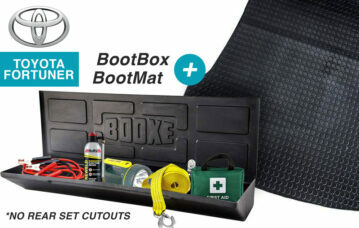 BOOXE Boot Box sits flush with the boot floor and stays firmly in place, ensuring the stuff you need is always on hand. With its sleek design, discreet functionality and ease of use, BOOXE Boot Box is your essential TOYOTA FORTUNER accessory. Whether you use your BOOXE BootBox to store your Breakdown kit, to safekeep your valuables when go running/surfing//walking the dogs, or to stow any other essential items for easy access, BOOXE BootBox provides the optimum storage solution for your car. Tired of your odds and ends rolling around in the back of your boot and under your seats? BOOXE BootBox provides a handy storage facility ensuring everything is kept neat and at your fingertips. 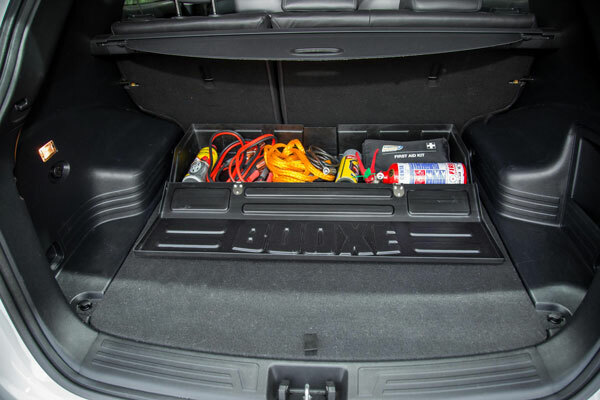 BootBox can be easily accessed from both the back-passenger door and the boot lid. 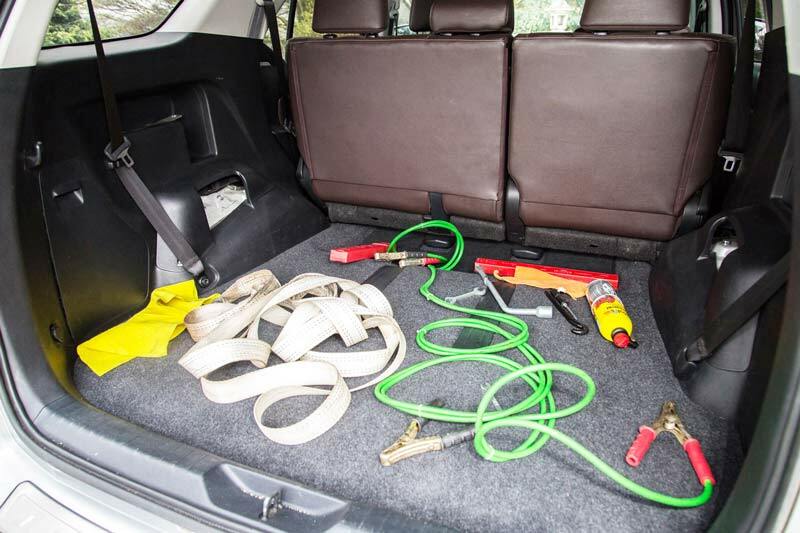 Store motoring essentials such as Jumper leads, Tow strap, First Aid Kit, Emergency Triangle, Torch… and/or fishing tackle, spare bicycle tubes, dog leashes, baby necessities, running or swimming gear or any other items you want to keep stashed away in your FORTUNER boot. BOOXE Boot Box fits all TOYOTA FORTUNER models, from the earliest to the latest styles – with and without rear seats fitted. 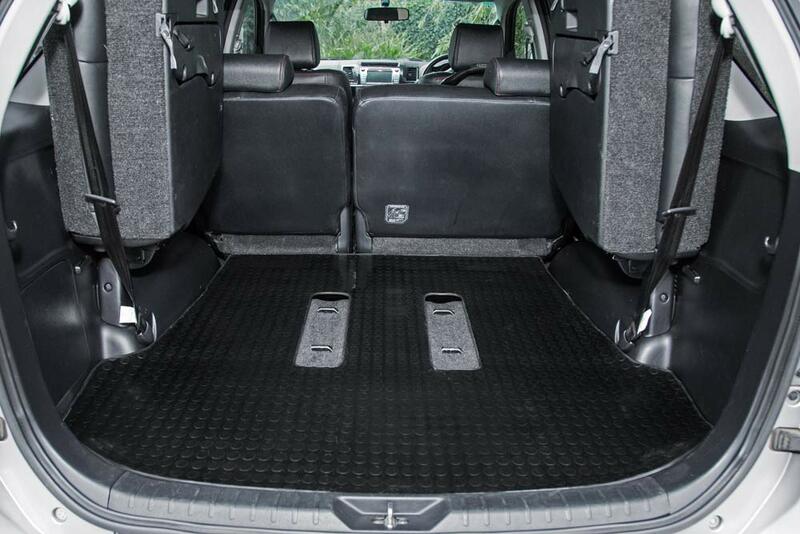 Boot Box is tailor-made to fit into the boot recess behind the second row of seats in your TOYOTA FORTUNER. 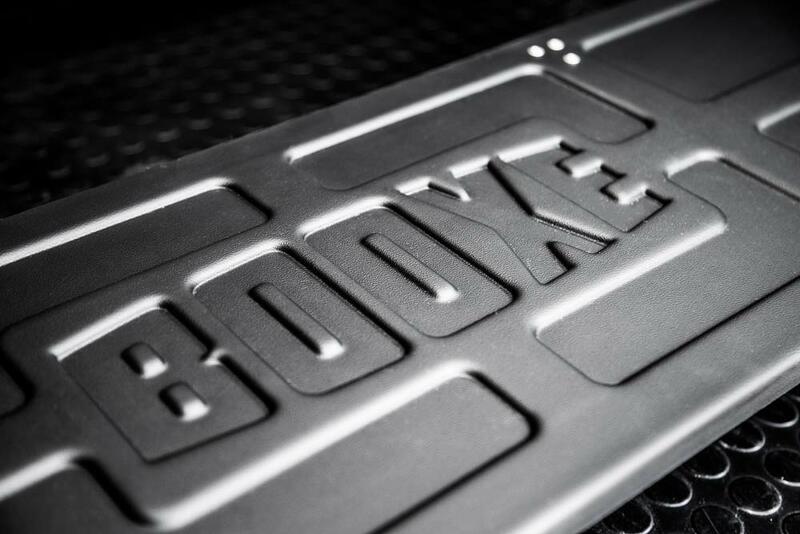 Manufactured from tough ABS with strong aluminium hinges, BOOXE Original Boot Box is lightweight yet heavy-duty and built to last. Above all, its sleek design will complement your FORTUNER’s luxury interior. Made exclusively in South Africa. 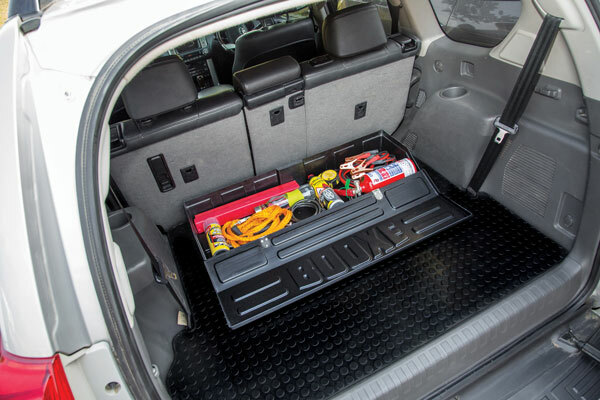 Boot Box fits snugly in the recess at the back of your TOYOTA FORTUNER boot and sits flush with the boot floor when closed. It’s long enough to fit an average size weapon or umbrella and deep enough to store a small compressor. 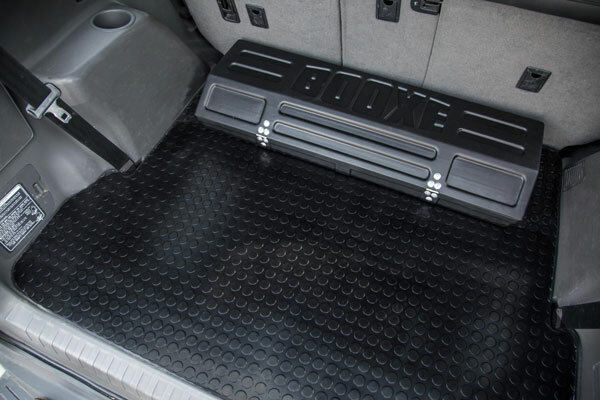 Additionally, BOOXE Boot Mat slides over and conceals the Original Boot Box. 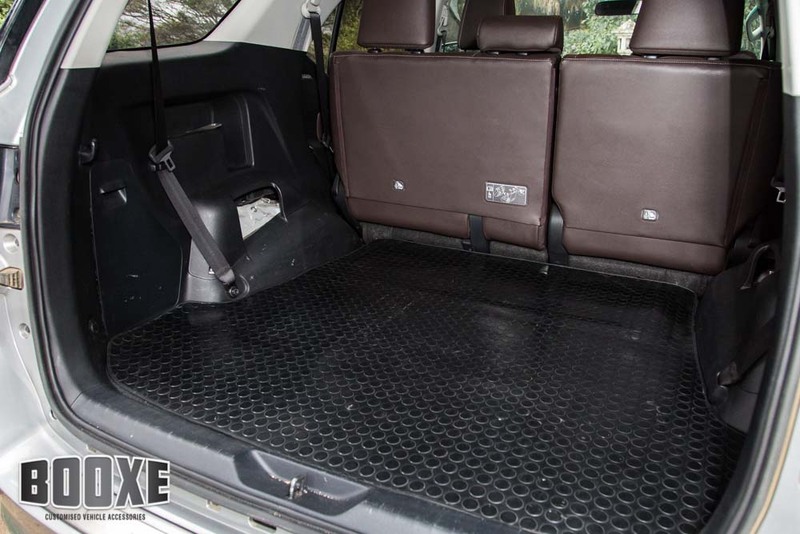 Custom-made for Toyota Fortuner, the BOOXE Boot Mat fills out and levels your entire boot area, thereby stretching your boot space over the Boot Box. Furthermore, its anti-slip surface offers protection and grip. 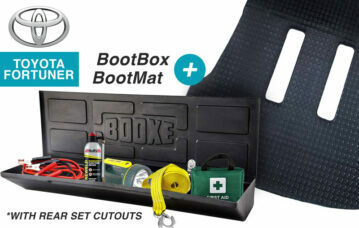 BOOXE ULTIMATE BOOT BOX – tailor-made to fit in most vehicles’ boots. Tired of all your stuff rolling around in your boot? Need somewhere to store your essential gear? Look no further. This sleek yet sturdy Storage Box fits neatly in your Boot to keep all your daily necessities at your fingertips. Its long, sleek shape fits discreetly into your boot without taking up too much space. 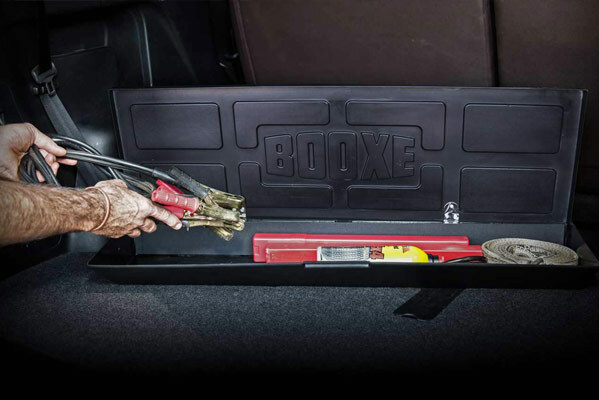 Use your BOOXE Ultimate Boot Box to store your Breakdown kit, keep spare gym gear and kid’s sporting equipment, to safeguard your firearm and ammo, or stow any other items for easy access. 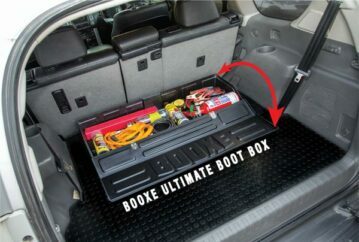 BOOXE Ultimate Boot Box provides the ideal storage solution for your vehicle. Are you sick of your stuff rolling around in your boot? 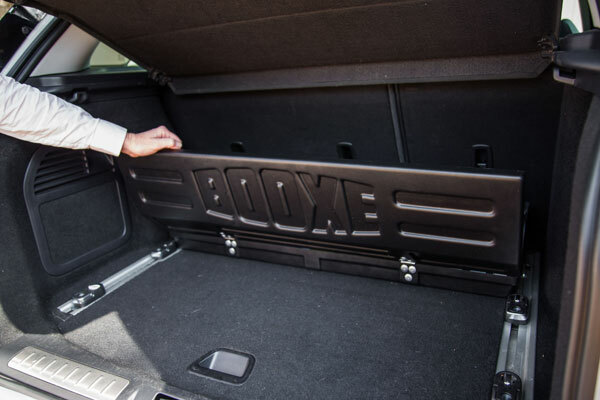 BOOXE Ultimate Boot Box provides a handy storage facility to keep in your vehicle, ensuring everything is stowed away and easy to access. Keep Emergency Kit, 4×4 Recovery Equipment, spare gym gear, kids’ sports kit, dog’s necessities or any other stuff in your Ultimate Boot Box. 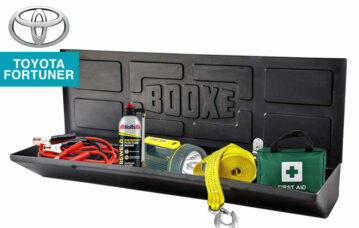 BOOXE Ultimate Boot Box is designed to fit neatly into the boot of most vehicles. Long enough to fit an average size shotgun or a hockey stick and deep enough to store a small compressor. Discreet functionality keeps essential gear easily accessible any time. Ultimate Boot Box has the capacity to fit a lot in it yet is unobtrusive enough not to take up too much space in the boot. Tough enough to withstand luggage and other gear piled on top of it. Strong, fine-grained ABS and aluminium hinges makes Ultimate Boot Box light-weight yet heavy-duty and built to last. It features structural ribs on all surfaces to give it rigidity, strength and durability. 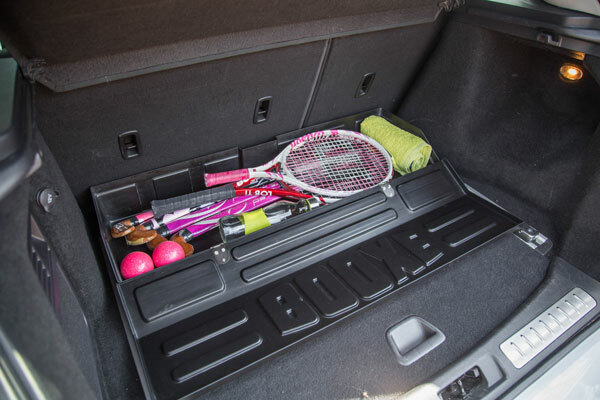 Ultimate Boot Box has a sleek design that complements your Vehicle’s Luxury Interior and is easy to opens outwards or inwards. 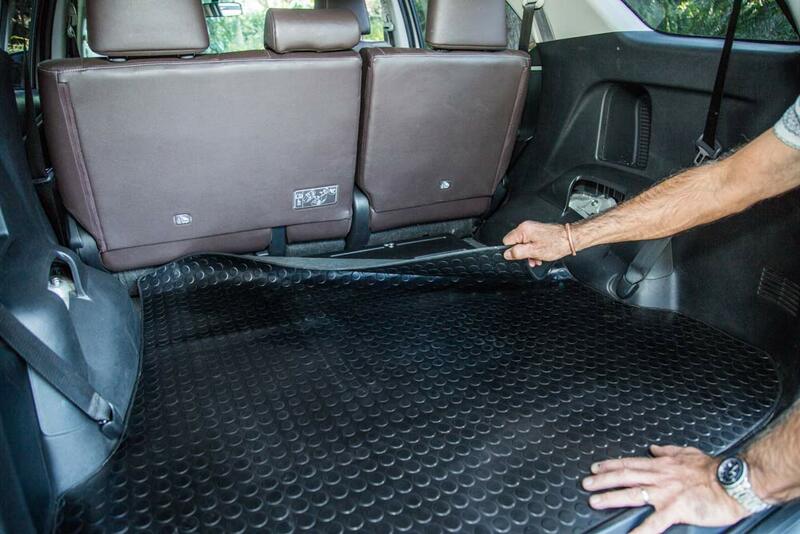 We’ve added non-slip pads so it won’t slide around in the boot when the car is moving.